My students like to test me. Often I fail. But not always. The other day, I said, "See you tomorrow." One of my students, from El Salvador, said, "No, I'll see you mañana." This back and forth went on for some time. Once more, my student said, "Mañana." 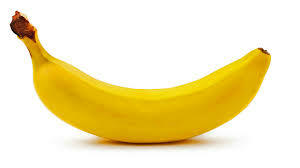 A Chinese girl in the back of the classroom said, "Banana." A bunch of students picked up on it. The next day, I was giving an exercise, and very pretentiously began to say, "You may begin..."
And a whole bunch of students, from all parts of the globe, replied, "Banana." "We can do it banana." "Let's not do it now. Let's do it banana." In my classroom, you see, we don't just learn English. We invent entirely new languages. We only have one word so far, but I see a big future for our new language. Once we work on it a little, I'm gonna send it to Pearson so they can make it compliant with the Common Core State Standards.